I was just reading Rev. 20:4 where John describes faithful followers of Christ who were beheaded in part for not worshiping the beast or taking his mark. Here's my question: If the faithful have been led to a safe place by the end-times Elijah, then who are all those that get beheaded for being faithful in the face of the Antichrist's onslaught? First, note that the Woman represents believers or those who "have the testimony of Jesus." (If you doubt that, see my article explaining this). Note also that there is no mention of "heaven" in God's escape plan for the saints; only earth. The plan entails helping God's saints to travel to a place prepared on "earth." Satan's tribulation forces try to attack that place, but the "earth" helps the woman by swallowing up his forces, reminiscent of how Korah was dealt with when he rebelled against Moses (Nu 16:23). Finally, don't mistake those eagle's wings for another form of easy airlift like the "pretrib rapture." 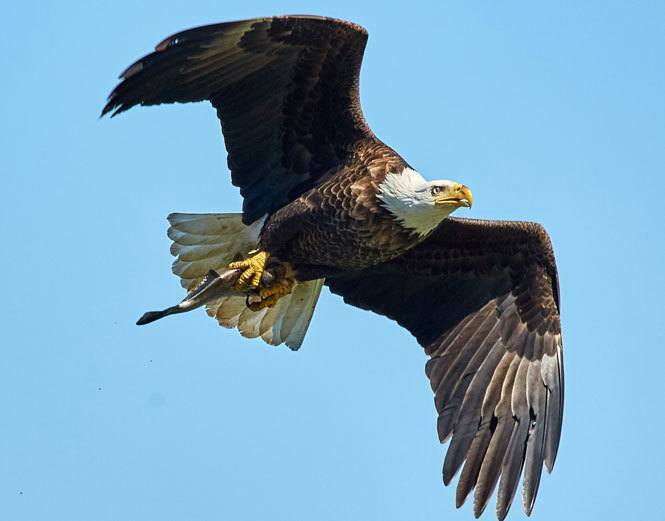 The eagle's wings are code for God's supernatural aid, just like God provided for Israel's exodus from Egypt (Ex 19:4 = Rev 12:14). Remember how they walked across the Red Sea, got water from the rock, and ate manna from heaven and their shoes never wore out (Dt 29:5). We will also have to walk, "plane, train and automobile" it to where God leads with his help against any obstacles, thankfully (which we'll all need in some form). A. God has a plan for that. The 144,000 will have supernatural protection to go out and witness to the world during the Great Tribulation before that, starting when Wormwood happens. Revelation 7 shows them being sealed right as Wormwood's passage begins. Not Hearing? — One challenge of God's plan is that it requires getting the word out to believers across the globe. If people do no hear about this opportunity, they cannot take part in it. Yet, it seems like God has that covered between the promised Elijah prophet (Mal 4:5-6), the 144,000 protected witnesses (Rev 7, 14) and the three angels' messages (Rev 14:6–12). Note, too, that the call for God's people to leave Babylon is also sent from heaven (Rev 18:4=Jer 50:8=Jer 51:45). With the Internet, the rumor of God's escape plan starting two years before it's time to go (Jer 51:46) will no doubt go viral and reach every corner of the globe. In other words, when the end time prophet comes and announces to the world that Wormwood and the Antichrist are coming soon, the place he directs the faithful to go first will be near a radioactive land—or even have radioactive land itself! Just like Israel had to walk by faith through the bottom of the Red Sea with walls of water on each side, we will be called to go to a place that seems unsafe and makes no sense to our natural instincts. It will take faith to obey. To know better what will be against you so you can better prepare now, see my later article on 10 reasons you may not escape and also my article on why people feel (emotionally) like the idea of staying behind. Phase 1: 2022/Judea — In 2018, I finally got to thinking more on the logistics of Judea. From that I saw that pioneers and workers must be called to Judea first to set up the camp for those coming later when Elijah warns. This would only be possible once and probably very soon after the Damascus destruction war opens immigration to Israel to non-Jews finally. Based on my dreams, I was convinced for several years that my family was moving to Israel in 2022. The pioneer insight tells me we won't be alone in 2022. I expect these pioneering workers will no doubt be arriving then, too. How many it will be, I have no idea yet. But it seems reasonable how 2022 gives two years of to finish the preparations for Phase 2. Phase 2: 2024/Judea — This is the key phase for Elijah's two years (Jer 51:46) of calling the faithful throughout the entire world (Mt 24:14) to safety in Jerusalem (Jer 51:45)/Judea from WW3 and Wormwood. Obviously, most of those who escape to Judea will come in this phase. And if human nature does not change before then, it's a safe bet that the bulk will arrive at the very end of the phase, right before Wormwood materializes in the sky (from Heaven), on or around Pentecost, 2026. Phase 3: 2027/Jordan — This is the 1260 day/42 month phase that Revelation 12 describes exclusively as the protection and feeding of the Woman, taking place in Jordan. I expect 100% of this group will come from Judea as Jesus commanded (Mt 24:16). But perhaps some special saints will show up in Jordan from other far flung places with some jaw-dropping stories to tell, such as teleportation like Philip (Acts 8:39). For more in my supporter study talking about all my dreams and what they point to in 2022. A supporter asked me this question after we had been at fellowship together and it took me by surprise. I had never been asked or considered this. It's a good question. Her obvious concern was, with all the other challenges she understood from reading the material above even in being in Judea that (could kill you), could we at least be safe in knowing that we will have a break from the demons that influence us by inspiring evil thoughts in us (generally without us even knowing they were not our thoughts)? That's why I put together the end time escape checklist to help everyone systematically find those "inner demons" lurking undiscovered or unaddressed even now after all these years you've been a "Christian" or supposed follower of Christ's teachings (Lk 6:46). However, with the new insights in 2018 from my dreams, I am of the opinion now that Mt. Zion there is intended the same as Joel 2:32's Mt.Zion/Jerusalem/Judea (Mt 24:16). It's the camp of the saints protected from WW3 and Wormwood (from Phase 1 and 2 above) in Judea. This means today I think the 144,000 will be taken from among those approximately <1M faithful in Judea who obeyed God's command despite the many obstacles. For where the place indicated in the Bible that God will protect and call the faithful to, read Petra in Bible Prophecy. Note: After reading this if you feel like you can use some help in recognizing the coming true prophet of God, given all the false prophets we've all seen and also the False Prophet coming, check out this article where I teach on identifying Elijah. No need to buy! The land will be purposely cleared out of the Jordanians by the Isaiah 17 nuclear war. It's not the Jordanian's land anyway but Israel's land by birthright (from the Wadi el-Arish in the Sinai Peninsula to the Euphrates in Iraq - Gen 15:18). The saints will have squatting rights there for 3½ years until Israel is given their land back in the Millennium when the Messiah regathers them. Like the article says, after that area gets nuked by Israel in the Psalm 83/Isaiah 17 war, we will be told to go Israel/Judea first (Joel 2:32). Then, by the time the Abomination of Desolation happens, we are to flee to Jordan (Mt 24:16). What if this place we are called to isn’t so much a physical place as a spiritual one? What if what we are called to give up is not just home, family and friends but every single thing in our lives that takes precedence over God? That secret addiction, the need to always be right, the “security” of relying on ourselves, etc. Anything that we rely on or value (knowingly or not) more than God must be left behind. Then, when His will alone is your sole concern, no matter where you are or what He allows to happen to you, you are His. Satan can do nothing to you that God does not allow. Megan, Absolutely we are called to repent and “bring every thought into captivity”, anything that is not love and faith. But this does not deny the plain literal meaning that says “come out of her my people” “move forth” “let Jerusalem come to mind” “Those in Judea flee to the mountains” “All who call upon the name of YHVH shall be saved for in Zion there shall be salvation among those who God has called.” See http://escapeallthesethings.com/144000-woman for more details. I purchased your book, I really think it has much wisdom, and I will read it over and over as my reading skills are about 3d grade level. Not my strong point. I do not understand what I read, and forgot a sentence once I have read it. However after reading it 20,000 times I begin to get it. My wife has written many books, (Myra Cook) that she has on ebook or something. (I am not internet savy), I am trying to get her to read it as well. Her views are similar, but may vary, not sure. She is really into fallen angels, and how they relate to stars, sky, whats going on today etc. Anyways, I do enjoy your book, and I believe you are on right track. Though I have limited knowledge, I have in past been been given good discernment on what to believe and not to believe. Hi, Tim — Very interesting article, thanks. What about the scriptures in Jeremiah that tell us to flee Babylon, which we’re told is going to be destroyed, and for everyone to ‘flee to his own country.’ That seems to say to just get out, and get out NOW, and pick a country, anyplace but here. People who emigrate to Israel must promise not to proseletize, and that is denying Christ. Jesus said if we deny him, that he will deny us before the Father (which means Hell). Cab, if you reread Jeremiah 50:16, you’ll notice it does not say that. It says the sowers will go back to his land. It does not command us to. To find the command for the saints, read Jeremiah 51:45-46, 50 where it says to those escaping “come out of her” (=Rev 18:4) “let Jerusalem come to mind” after the two years of “rumors in the land” followed by violence (WW3). The door to emmigrate to Israel will open because they will lose many in the coming nuclear war: http://escapeallthesethings.com/damascus-israel-isaiah-nuke No need to deny Yeshua to get there. God will (must) make the way to fufill all these prophecies. What about all of these safe places in the mountains, in the US, that people are being told by the Holy Spirit is moving them to prepare? It seems many “preppers” who are Christians are being told by the Holy Spirit that there are protected places being prepared by God for his believers to flee to? Do you not think that there will be safe places here in the US as well? Sherrie, good question. We must always test words against written revelation that applies and test the spirits. The written word tells us America will burn and that a call will go out for two years before telling people to come out. This contradicts any personal prophecy saying to hole up in the hills of the US. See http://escapeallthesethings.com/america-mystery-babylon-great for more on that “more sure word of prophecy” we have. Love to read all of your thoughts and decisions. Save them for some of my children to read also. Thank you for your diligent study. I have bought your old book as well as your newer one. I do not appreciate the post-trib or mid-trib views. May I recommend you see the Geneva Bible(1599).? II Thes. 2:3 – We who are in the will of Jesus will not be here on earth for any of the tribulation!! So those that do not have the funds will be left behind. Passports are not provided to those who owe back taxes or have not paid their child support or in some other way they owe the government monies. Most of the world will parish, those in Africa have no funds to speak of.. It is going to be a sad day. Not at all. God’s plan is not so feeble as you imagine. You obviously did not read the whole article including where I talk about the promised supernatural provision for travel indicated by the woman’s “eagles wings”. Wow this is all soooo scary!! I don’t want to see any of it. I’ve been out of touch, There has been no reliable internet out here in the country where I reside. But hopefully yesterday we had a 16 foot pole installed to allow us to receive a clear unbroken signal. So far so good. My question is: are there two sets of 144,000 ? Do you believe the 144,000 in Rev.7 are a different group than the 144,000 in Rev.14? Will God also seal the people taken to safety? or will that not be necessary as God will be performing some supernatural miracles at that appointed time. Great to hear from you, Candie. Although the 144,000 are mentioned in two chapters, Rev 7 and 14, they are one and the same group. Rev 7 shows them being marked right, actually taking place before the 6th seal of the previous chapter (because Rev 7 is a parenthetical chapter, see my video on that: https://www.youtube.com/watch?v=B3WYhBcSBDA). Rev 14 shows them right after they have been sealed on Mt. Zion in the presence of the lamb, right before they are sent out on their mission of preaching the good news of the kingdom. Nobody will be converted by the Two Witnesses because they begin their mission after the figurative “door to the ark” is already closed. Remember, Jesus said everyone must flee by the time they see the abomination of desolation (http://escapeallthesethings.com/abomination-desolation). That comes 30 days before the Antichrist takes over, a short probation period to run like hell as he said in that passage. See http://escapeallthesethings.com/two-witnesses more more on them. Only the 144,000 need a seal of protection because only they go around the world in the Antichrist’s empire to preach as witness. The rest of us are protected in the place prepared, by the place literally. Think of the series/book “Under the Dome” for what that may be like as nothing Satan wants to do will be able to touch us. Respectfully, the 144,000 are not going out and preaching during the time of the Anti-Christ’s reign. That is part of the pre-trib rapture agenda teaching to help justify people getting saved during the time of the great tribulation. Nothing in scripture says these sealed 144,000 from the tribes of Israel are witnesses. In fact, if they are sealed around the 6th seal then they are literally sealed right before Jesus returns at the end of the tribulation since the sixth seal, seventh trumpet and seventh bowl line up. Blessings in our Savior. Alamb, I don’t teach the pretrib rapture and there is no need for the 144,000 special “anywhere you go” protection during the Beast’s empire when there is already gathered protection for the Woman unless they’re tasked with preaching the Gospel as a witness (Mt 24:14) just like the 12 and 72 in Jesus’ day did. Actually, the 6th seal is about 9 months before the Tribulation starts and 4.25 years before it ends. The seals, trumpets and bowls are not parallel as you imagine, but serial. Congratulations, Timothy on your excellent book. I have read it 4 Times. As we know, ” all that say Lord, Lord , do not enter in.” So our preparation has to be adequate and our dedication acceptable, to the Lord , for us to be ” found worthy “. You have nailed the personal issue that will, at this most crucial time, precludes so many from being physically saved, from and away from The Tribulation. It surely is a Faith/Faithfulness issue. The Foolish Virgins are in the lack luster , lukewarm Laodicean condition. So by their freewill choice, they have precluded themselves from the miraculous ” Wings of an Eagle ” Event. My take is that there is the Remnant of True Believers, But only a subset group are the Elect of The Remnant, who are switched on , watching and awake for the Lord’s Return. They are continually praying, repenting and searching out the Truth and The Will of God. So these Elect – Called Out Ones, are found WORTHY and are airlifted to the Safety of The Wilderness Haven. God is ALL Powerful and Christ is Lord of All, So He can Still the Storm, Raise the Dead and Decontaminate a Nuclear Blast Zone. All in His Miraculous Powers. I suspect that End Time Events will escalate in rapidity. It behooves all who desire ” to Escape All These Things “, to get very serious about their Spiritual Preparation. Surely ! we are seeing all The Signs of The End, & as the Lord says in, Math 24:33 “..when you see all these things ( Signs ) that IT IS NEAR even at the doors,” I have been miraculously preserved from sure death, a number of times, so I have TOTAL confidence in God’s Miraculous Abilities. In my real experience, He has saved me to the uttermost. And He will save all those, who through faithful obedience, place their full trust in Him. This is the required quality level of Faith/Faithfulness for these Critical Times. Really well presented article . This is one viewpoint that makes the scriptures fit together . I think this is a gift from God to read this and take it into my heart. I sure appreciate your wisdom and courage to express your views as revealed in the Bible and it is a great pleasure to read and understand your reasoning. There is one thing though that puzzles me . We are on the verge of WW3 and all your explanations tend to stray on that big obstacle which will destroy total humanity. Can you please explain how believers are going to escape and be the in the promised place of safety? We have been on the verge of WW3 since the 1950s, yes? Why has it not happened yet? Too much to lose, mutually assured economic destruction. See, WW3 won’t happen until Wormwood is near and Russia has nothing to lose by burning the country that underpins the world economy. See http://escapeallthesethings.com/sign-of-the-end for more on that. Very clear and concise instructions to escape the coming Great Tribulation, Thanks Tim and keep up the good work, your brother in Christ. God Be you and yours. many of God’s people are already experiencing beheading at the hands of the likes of ISIS and persecutio of believers is certainly already hotting up in those areas. Yes, believers have been beheaded for 2000 years but that’s not what the prophecy is talking about. Rev 20 is speaking of the intense global beheading by the Antichrist during the Great Tribulation. Elizabeth, thank you for your comment because you just voiced the main objection regular Christians will have when Elijah comes because of which they will disobey the command to flee: “We’re safe in Jesus anywhere; my pastor reassured me of this!” Yes, he can save you in Australia or any place and he will do this for the 144,000 wherever they go, but the plan for the majority is already written in several prophecies of gathering us all to one place: first Judea then Jordan. Because of this, while there may be 2 billion Christians worldwide, few will be able to justify such a hard and wrong-sounding move. Perhaps there will be a million or so who do. They can still fit in Judea easily. The whole world population of 7 billion could fit in Jacksonville, FL it was calculated see http://www.wiseoldgoat.com/papers-creation/hovind-seminar_part1b_2007.html for more on how the idea of overpopulation is false. Sure some of martyred will be new believers! But it will mostly be believers extant already today like you and I because there is no pretrib rapture and Jesus said that his warning about being hated on the whole earth and having to flee was not just for Jews but all on the face of the earth! (Mark 13:37; Luke 21:34-35). 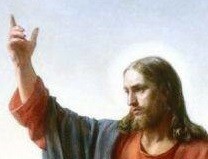 This is also why in the the next verse he told them to pray that they may have the strength to escape (Luke 21:36). There is no automatic pretrib rapture. It will take mental strength to escape because it’s on foot and it looks wrong to move to a nuclear zone! Jon, They sound judgmental and not anything I’d want to read? Tim, since first reading your view that it will take great faith to leave on Elijah’s instruction, I felt rather despondant about leaving any relatives or friends who have disabilities or frailties that seemingly would make it impossible for them to go too. I would feel too guilty (or perhaps even cowardly) to leave them for my own safety. Your update at the end of this article has lifted that burden from me. If, as you say, even people who seem not to be able to travel for any reason at all, will be given divine help to do so, and they know that, it really levels the playing field. If everyone who believes has the same opportunity and help to flee and they actually choose not to, then the decision for me can be based on my faith alone, not out of duty to anyone. Israel is the last place you want to be. If some fake Elijah tells you to go there ,don’t do it. Ron, thank you, you expressed exactly what people will say and believe when Elijah announces the escape plan in the Bible. If the rapture is not possible, then why is there so many people that have dreams about the rapture? I believe some dreams may not be 100 percent correct but doesn’t it say in Acts 2: 17 that people will have dreams and prophesy? And I have been hearing of confirmations from other people that will have the same exact dreams that others have concerning the rapture. I’m not trying to be mean but I’m honestly, genuinely confused. I hope I’m not coming off harsh, not my intentions at all. I’m just curious. Kristina, Yes, God gives dreams. I’ve had a few of the real variety. So do many. But Christians every year share dreams saying that the rapture is coming “this year.” (Just google “rapture in 2017 dreams” and you will find them.) And every year they have been wrong. Why does this happen? Because Satan and his demons gives dreams, too. That’s why John says we must “not believe every spirit but test the spirits” (1Jn 4:1). Christians generally assume if they got an inspired dream then God must have been behind it. They don’t test it against Scripture. Scripture does not literally support a rapture before the Tribulation. The handful of verses on the rapture all tie it to the resurrection at the second coming and after the tribulation period. The big question I have regarding the escape: Will God ‘prevent’ believers from going to Israel because they are unworthy? Or will it be open to anyone who wishes to follow regardless of their worthiness? Zak, I don’t see why God would prevent anyone based on their righteousness. It’s not like the escape place is entrance into the kingdom. It’s simply taking God’s prophet at his word and against all the things that make it look wrong (Middle East location, nuclear fallout, far away) and not the way to go, by faith going. To get to survive is a fitting reward for that kind of faith and sacrifice. BTW the “unworthy” in Lk 21:36 is a less favored variant compared to the “strength” variant. It will take mental strength to escape, not so much worthiness, although you could say you are worthy to escape if you have the faith. As usual, you’re explanations are very helpful! I suppose there is one last lingering question regarding those who go vs. those who do not go: Why is it that some are able to understand these things while many others are not? It has to make one wonder about the ‘deterministic’ nature of knowing about future events as God appears to know…. Zak, most are not able to understand because they don’t have that radical, truth-seeking streak to them. They value acceptance and fitting in more. Read the latest supporter article on Christian deception for more on cognitive dissonance that gets in the way when do look at truth causing them to reject it. I keep rereading all these great articles. I find something new in them each time I do, something that jumps out at me. Tonight it is the reality of how difficult it may be to convince certain loved ones (my 2 children in particular) to flee with me and how immensely difficult it will be if they cannot be convinced. I’m so thankful I have time to pray about this and work on progressively exercising my faith. I’m so thankful that I know what to be praying for and what my most important mission is between now and then. It makes all the other worries of life seem pretty meaningless. While I do not feel it is my responsibility per se to save my children, I have begun talking to them about some of these things, my wife too. I pray for the right words to say and the right timing. For my youngest son, I leave out all the scary stuff and just talk to him about loving others, even bullies and other people that may be difficult to love. He’s pretty good at that already and seems to have a soft heart so I’m encouraged. Who knows, maybe he’ll be one of the 144,000. He’ll be about the right age then (assuming 2026 is it) Who knows, right? Anyway, just thought I’d share what I was thinking about tonight after re reading this article for probably the 10th time (like all the others). ???? Donny, yes, and America is full of lost Israelites, primarily from Ephraim. Sam I agree about getting something else out of the articles on re-reads. It’s great! I also have the mixed feelings about close ones who may decide not to go when Elijah calls. I wouldn’t use the number 17.2% church attendance as a marker of who is spiritually right with Yehovah. Some of us left the church because it focused on religious duty rather than what the NT church was meant to be – fellowship with food and laughter, reading from the Word, and spurring one another to good works. I cannot equate what most Sunday morning services do with what the NT churches did. I personally left the church burnt out and bruised and for the past 8 years, Yehovah has been teaching me through His word and teachers on the internet. I equate my 8 year absence to a spiritual detox of religion. It is interesting when you read Acts that Saul/Paul was told to stay in Arabia to learn directly from the risen ascended Jesus and not the original 12 disciples. I personally believe the 12 were still somewhat yoked to ritualistic Judaism (i.e. water baptism as a means to be forgiven) to be an effective teacher for Saul/Paul who was to go to the Gentiles (with no attachments to the Law/Judaism). Saul/Paul was a stellar Pharisee – one of the best taught by the best and zealous by his own admission. He went through a spiritual detox in Arabia to shed all religion so he could properly preach the clear gospel of the kingdom. Then when he did attend feasts and baptized a few people (he says himself the Lord didn’t send him to baptize), it was done with full knowledge of the meaning. All this to just say, don’t discredit those who aren’t church goers as spiritually empty. Some of those in that 17.2% are spiritually empty because they cling to the rituals of church rather than focus on what Christ really wants for us. Elizabeth, I felt led to respond to your post. I can fully understand your feeling regarding the church. My wife and I have not been to church in about the same period of time. Our family served in not one but many churches over our 37 years of marriage. It always seems to be the same results. They expect us to do all of the work, while the rest relax and socialize and ignore those working. I say this not to get pity or be a martyr but to let other know and understand that there are many of us in the same position. When this occurs in the church there is no real fellowship or encouragement. We left as well because we were burned out and felt no support from the church. We left and there was no follow up as to why. I don’t think a lot churches want to know why. I was taught by my father to be in church not just to be there but to serve God. Since finding Tim’s site and his postings, I can now see the bigger picture of the Message of the Kingdom and it is dramatically different from the church’s message. Even our past friends are “praying” for us to return to the church. I do not believe we have much time left and agree with Tim that this could very well be the Daniel’s 70th week coming in 2024. When I tell people, they shy away (as Tim has warned) but feel they need to at least be told. For others feeling the same, be encouraged, you are not alone. David, thanks for sharing your encouraging words. Regarding the abuse and manipulation you experienced serving in Christian organizations, have you read So You Don’t Want to Go To Church Anymore? written by two ex-pastors? It will be very relatable. Thanks David for sharing that. I too was heavily involved in church and married to a pastor once. So I understand the ugly underbelly. It takes courage to walk away. Thanks Tim for that link. I didn’t know such a book existed! Thank you David and Elizabeth. I too have been away from organized religion for many years for the same reasons. I would not say that I suffered abuse or manipulation at the “churches” hands, but I would say that I too served in many church position and also experienced “burn out.” I also realized that organized religions come from man- not straight from Yehovah or the teachings of Yeshuah His Son. Through much prayer and petition to Yehovah, I have sought out online teachings and preachings and am MUCH closer to Him than I was when “going through the motions” of attending church regularly. My parents continually harp on my lack of attendance; however, I know that I am talking to Yeshuah daily and studying the Word of Yehovah more now. Rest assured that neither of you are alone. This earth is not our home. Paul said to live is Christ, to die is gain. We’re only camping out for a short time here, a vapor. At my age I’m looking forward only to that eternal city. I am by no means scholarly in the things of the Lord. For the most part I am the worst sinner on earth, but praise be to the Almighty for His Everlasting Mercy. For the last eight years of my life I have been in search of more and more information pertaining to the last days of the current Government, before the Lord returns here. It all started with an article in the NY Times about the Euphrates, and since then I was astonished at the amount of prophecies that have indeed come to pass. You have answered so many questions, and dispelled so many myths pertaining to the elusive book of Revelations and have blessed me richly with the forewarnings. If for some reason your predictions are not accurate, it is because you are not God. You are not perfect as He is, but nevertheless you seem to be a worthy steward of His Word. My question to you is this and I know you have mentioned it in previous articles before; but for my own clarity, The Great Earthquake, The Stars falling from Heaven, could this really already have ocurred? Why under such obscurity that the Nations would have forgotten it, almost as if it has not happened? I do not foresee the average Christian uncovering so many of the prophecies that have passed. Are you saying that God can conceal a matter that is as important as this from the eyes of his people? And why? I Thank you again for your informational site. So far it is the only one that makes perfect sense. I have often guarded going with the next new sensation, but have also been deceived many times as well. God Bless you. The 6th seal has not happened, so the great earthquake and stars falling is yet future. If you read Rev 6 you cannot say that literally happened in recorded history (debunking Preterism). It’s a very good sign the end is here which is why Jesus calls it the beginning birth pains, something unique that happens only in the final hours of a 9 month pregnancy. And thanks for the very informative articles…long story short…I have been drawn to rereading my scripture again, now that I’m going through some personal trials and I certainly do like most of your explanation on the end times and the tribulation period. What I don’t quite get is why you constantly refer to the “strength” needed to do this? Luke 21: 36 doesn’t mention strength…look at the verse itself…Watch ye therefore, and pray always, that ye may be accounted worthy to escape all these things that shall come to pass, and to stand before the Son of man. This “theory” of the saints of GOD flying off to a remote part of the world (Jordan?) is nothing new. It has “floated” around for a long time like the secret rapture theory. Both tale a little scripture and truth and build a doctrine made by man. Sounds good but to full of holes. Without even using scripture to disprove this theory lets us just use some common sense. That will even so solve the secret rapture theory quickly. Right now let’s just stick to the idea that “some saints” will be protected unlike others doing Great Tribulation. 1. This would have to be believers from every nation on the earth? 2. They would have to have money, passport and means to fly in a plane? 3. I know some old prayer warriors that make us look like grasshoppers who would not fly in a plane if they had money, passport and a car to get to the airport? 4. What about mentally handicap people? Young children? Nursing home saints?….you could go on and on with this…This theory is like the secret rapture it is only for the frozen chosen. The previliged. GOD is no respecter of persons? That flys out the window on this one? Only for the wealthy and the frequent flyers? Anyone crazy enough to believe this theory might as well hold out for the secert rapture. Both have the same chance…ZERO…I doubt this will get posted. If it does you think and pray and read and decide? Ken, when you say God gathering his people to one place is impossible you sound like the “Bible scholars” these days who say the Exodus did not happen or Noah’s ark did not happen “impossible.” After all they had no “passports” (=no permission as slaves), no money (again, slaves) they had handicapped among them from the hard abusive Egyptian slave-drivers, etc, etc. Yet it happened because God wanted it to and helped with miracles. Funny thing is this exodus directly references the miraculous provision and helps of the first exodus, almost as if God knew there would be skeptics like you even among believers who doubt this is his plan: (Ex 19:4=Rev 12:14). If God provides that kind of strong help, why do you need to be rich and privileged as you claim? Further how did you ever think God could command his people to leave their country (Rev 18:4) and not provide that kind of provision to go with the commission? So there I published your comment. I hope you are around to see this happen with your own eyes and understand better how God works and maybe believe in him a little more? Hi Tim. I am somewhat confused because I did not believe in the rapture, then I bought a new living translation application bible that broke down the verses and if I’m not mistaken, in Thessalonians they’re are verses about rapture. Is the bible that I bought not accurate. Also, how can I explain the migration to my husband who does not go to church and my kids who i am trying to lead to Christ who are 11 and 3. I don’t want to scare them as I already am terrified too. Amanda, the rapture is in there in the Greek as my article explains, just it’s not pretrib like is popularly taught/believed; it’s post-trib. A new position landed in my laps, I wasn’t looking but it found me. I don’t know why me, it will require me to leave my life here and move to UAE. Is that a good idea, I will be closer to Israel and will definitely drop everything if asked/told. Kescher, I recommend you judge the job and the move off its own merits not for end time strategy. As the article says, God has a plan to warn the saints fund getting them to safety in plenty of time, no matter where servants of God are in the world including Timbuktu or even NJ! I just found your site today. Hallelujah and Praise YHWH! All my studies and research papers now have an additional witness! Vindication at last! Apply for your passport today and begin to “tithe to yourself” to have the money to go. Worry not! All the silver, gold, and jewels you will need are your family. The post-tribulation rapture is found in the plain literal reading of several statements of Jesus and Paul. Same with a literal, 1000 year future Millennium after Jesus comes and the dead are raised and living raptured. Amillennialism is just like the pretrib rapture theology in that it depends on spiritualizing and allegorizing those passages. The Bible is much more literal than amillenialists, pretribbers and most of us ever thought. Hey Tim, I enjoy reading your inspirational teachings all the time. They have enriched my faith much. I just wanted to let you know about another teaching out there that is very similar to yours about the END TIME leaving everything behind for the promise land and 2nd Exodus. It’s Monte Judah’s book called the Greater Exodus backed up by much scripture in both old and new testaments! In the book Monte mentions the camps of the righteous that will exist all over the nations making Aliyah to the promise land. And he also mentions the time to leave according to scripture is at a future Passover when we see the abomination of desolation happen. Hope you take a look at such a profound teaching. Thanks for all you do in Yeshua’s name. Daniel, I am familiar Monte Judah’s eschatology from my time in Hebrew Roots. It sounds good to Torah keepers, because his idea of a Passover departure and camps of Tabernacles keepers being safe throughout is based on extrapolation, types and shadows from the Torah (such as the 42 camp sites Israel migrated through during the 40 years wilderness punishment). But we have the New Testament prophecies that gives us explicit revelation about the end times that do not fit Monte’s view. Jesus said we leave before the abomination occurs in the winter (not spring) on a Sabbath day. Joel and Daniel talk about a single gathering place for the saints for protection from Wormwood and Antichrist, respectively. That’s because the fall of babylon (US) is not the final judgement but the start of the one world government or beast system where people will get a chip implanted and be beheaded if they do not renounce their faith. I think it’s interesting that July 4, 2026 is the 250th anniversary of Mystery Babylon. That is an interesting observation you’ve made there. Perhaps the attack that takes down Mystery Babylon happens when it is celebrating it’s 250th year of life on the 4th July 2026. Also I would expect Wormwood to say hello in appearance on that day or very close to that day too if Wormwood is what causes the northern enemy of Mystery Babylon to destroy it. Perhaps 1 Thessalonians 5:3 was talking about Mystery Babylon though it also applies to the Beast empire just before the plagues destroy it. Based on my understanding (and also mentioned in Tim’s book/website) the “144,000” are more than likely sealed on Pentecost JUST AS the wormwood event is beginning to occur (as per holding back the four winds mentioned in Revelation). If this is true, and the wormwood event takes place in May of 2026 then mystery Babylon would have to be destroyed right before that time (and not after). Thanks for the clear explanation on the faith needed to leave all behind to flee. History shows what damage ridicule and peer pressure can do. Armenian Christians were warned by a genuine prophet for ~50 years that they needed to leave to avoid a terrible massacre. However, by 1914 only 2000 Armenian Christians out of approx 1.5 Million had left Armenia for the USA. These 2000 were ridiculed as they left. Things were good in Armenia, why leave? A year later the approx. 1.5 million skeptics were eliminated by the Turks. They did remain faithful, some singing as churches were locked and burnt down, but they perished prematurely for lack of faith. This is a good example of what we can expect. My own Christian sister wrote to me that she’d rather be beheaded than fly to a strange desert. Hopefully she’ll realise sooner rather than later that her beloved hometown will not be the same for much longer and not is worth holding on to. A testimony that seems to be common knowledge among the Russian-speaking Christian community of British Columbia is that, in Ukraine after the Chernobyl meltdown when produce was commonly contaminated with radioactive fallout, a Christian prayed over his contaminated produce (something like “Lord, bless this food and make it good for the body’s use”) and a radiation meter showed that it changed immediately from radioactive to not radioactive. I think this was done in public and perhaps right at the produce stand, because when someone else saw it, they asked that Christian to pray over their produce, too. And it was also made to be uncontaminated. Wow Mike this is such an awesome story! We have no reason to be fearful of anything on this earth because God is able to protect us in any way He chooses. God continues to do miracles and I feel sorry for Christians who don’t know this is happening. I guess I want to take this chance to mention a miracle that happened in my home in 1987-88, when God took a little container of cornmeal and made it last all year. I was in poverty and I am a bit ashamed and bashful to say that God provided for me this way, since I am definitely a nobody and not at all worthy of any kind of special miracle from God, but I want to share it with y’all, because I trust you not to “throw shade” on my experience. I cry most times that I think of it, so I don’t tell this very often. But if we are thinking ahead to times when we might not have a modern food supply, then I can testify that God is willing and able to provide manna, even for someone ordinary like me. Hi Tim. I wonder is it just the beheaded saints who get to live 1000 years with Christ, or everyone alive, and living in safety, in Jordan as well? Rob, every glorified saint reigns with Christ as the multiple of verses make clear, not just the beheaded ones as reading Rev 20:4 in isolation may make one think. Also, if those Christians who aren’t wanting to leave home etc, don’t go to the safe place, does that mean they won’t get eternal life with Jesus in heaven? Rose, I answer these common questions like you asked in the 2022 FAQ. I think you make a great case for a “Jewish remnant” and the 144,000 sealed that come from the 12 tribes of Israel. Tim…I have read many of your articles and found new insights from the Sermon on the Mount & Yeshua’s hard teachings. you do a great job in reminding us about God’s wrath, jealousy, judgment and holiness! God is the same yesterday, today, and tomorrow. Too many people have cheapened grace and the salvation offered by Yeshua (Jesus). Our hearts will tell the real story on Judgment Day! Do we love Yahweh/Yeshua with all of our heart and mind (faith)? Having no other gods, religions, or idols before him? Do we love other people as ourselves and treat them fairly? Thank you for allowing different viewpoints and honest dialog on this website! Too many people are offended today for the slightest provocation and want to shutdown or shame publicly if someone has a differing idea, opinion, theology. revelation says the kingdom of god belongs to those who have overcome. if you ask yourself that you will feel unworthy. if you continue reading it says we have overcome by the blood of the lamb. the thief on the cross said remember me when you come in glory. Jesus said today you will be with me in paradise. salvation is for everyone who believes and follows Jesus. there are over 4000 religions in the world but most are false. Jesus said, before abraham was I AM God said said to the Son ” thy throne oh God is forever and ever, a scepter of righteousness is the scepter of thy kingdom. if you really want to find the truth you have to look for it and God will steer you to Jesus who rose from the dead. Horst, you don’t overcome and make it through the end unless you pray for the strength for that like Jesus said because the psychological challenges to making it to God’s safe place are unprecedented. Sometimes I think about how much faith I really have. I don’t mind trading this life for a better one. But is that going to be enough? Though I feel like with my name it’d be pretty embarrassing not to walk through fire. When his family heard what was happening, they tried to take him away. “He’s out of his mind,” they said. Would there be electricity in the prepared place? Would the people gathered there be able to see the endtime events taking place across the world? Or will it be some supernatural way in which they would receive the news updates? Or are they all kept in the dark about worldwide events and they live in their own little world (meaning, isolated from external events)? Also, if there was electricity (and therefore phones and computers), wouldn’t the ‘faithful’ message others that they have reached safely, thus making more people cultivate enough faith to come? Subin, I cover these questions in my article on Elijah and the Good News of the Kingdom explained. It’s unlikely there will be electricity in Jordan and people will have no way to get there at that point if they do hear from others there. Before that in Judea there will be electricity to get our work done, but the over ten major obstacles to moving there will keep out people without strength and faith. Is it possible that the voice of the angel, calling to “Come out of her, my people” is the same ‘loud voice’ and at the exact same time, that calls both the living and the dead in Christ, worldwide, to all rise and meet the Lord in the clouds,’in the twinkling of an eye’, just as the nukes are nearing their impact? Nobody in the rest of the world would notice the Christians in America being gone after a nuclear holocaust and the missing Christians elsewhere in the world might be less alarming because of the earth shaking event that had just occurred. I do realize that American Christians are probably the least likely to want to leave their own country, especially when so many people struggle just to come to America. Yet, still, I’ve often wondered if the voice that calls God’s people out of “her” in Revelation isn’t more than a command for us to ‘do’ something and just as Jesus voice brought Lazarus back from the dead and out of the tomb, isn’t it possible the loud voice in Revelation is more of an ‘act’ of God than a request for action on our part? And one more thought. What if it ‘is’ God’s will for Christians to remain in ‘her’ until the last minute, preaching the Gospel to whoever still remains. Jeremiah does indicate an exodus of people to their home countries. Maybe, at that point, it will take more courage to stay here and continue preaching, than it would to leave? Mark, I would not feel safe to link up prophetic events by a similar loudness of the voice. For sure America is destroyed (6th seal) around four years before the resurrection of the dead happens (7th trumpet), or one seal and 7 trumpets later. Regarding the Gospel, I hate to break it to you, but Christians do not and never have taught the Gospel of the Kingdom that Jesus taught, but a false, counterfeit gospel (Mt 24:4=Mt 7:21-23). God would not use or send them to stay behind and preach more of that falsehood to save the world. It actually prevents people from salvation by leading them into a religious ditch. Something I have noticed among some of the Christians today that track the prophetic happenings…some seem to have this entitlement that God would never let a bomb or missile fall on or near them. They then pivot to presuming they will be raptured before a bomb or missile hits them. I think this view is incredibly narrow minded and myopic. Throughout history, Christians have been killed in horrific ways. There were of course Christian’s at Hiroshima and in most other places that have been bombed or attacked. Yet so many American Christian’s think they are somehow protected from bombs or missiles. They think they are special and somehow God has hallowed the Christian’s living in relative luxury in America. This is so distasteful and detached from biblical, global, and historical reality. In Matt. 24:29-32 the elect will be gathered from all over. How did they stay protected in the tribulation? Hendrik, the 144,000 are protected everywhere to preach in all nations until that day. Hello Tim, something that’s been in the back of my mind about phase 1 for a while now is who is going to initiate this pioneering move to Judea and also what will the selection process be to elect the first group to move? Surely there must be some communication or awareness to call the people and again also some kind of assistance, support or guidance to get the people going? From my point of view, I am gearing myself up mentally for 2022, but I am not sure at this stage if even from now till then I will be able to make it financially. Finance at this stage is my biggest stumble block in preventing me from going, otherwise I am ready to go anytime if I am part of that phase 1 group. It is good to get some more updates from you again. Time is getting shorter now and I am sure more and more information will start getting through as we draw closer. Blessings to you and Katrina and the two boys. Johan, I expect Elijah to quietly lead this before starting his high profile Phase 2 global ministry to repentance. The selection process to me could be as simple as: whoever has the money, time and skills to be a help in building instead of a “dependent.” Being more of a dependent is OK for Phase 2 by which I have no doubt there will be an aliyah fund in place for. That Gentile believers are building a settlement in post-war Judea should be hard to miss in Israel/Christian news. Where that places you I don’t know, but finances are a small matter for God if you really belong in Phase 1 with other contributions you can make. Hi Tim, But the bible says that no one knows , neither the day, notr the time that Jesus will returns, neither Jesus himself. I did not inderstand about the 2030, though there are just predictions right .! what do you think about all of this 2028 END propaganda, and does it line up? Theres a ton of videos and a website and apparently it is gaining a large following. Taylor, I heard about “2028 end” Gabriel Ansley Erb back in 2015. He still does not seem to know about the sabbath year cycles and that 2028 does not line up with them. Jesus can only return in a sabbath year, like 2023, 2030, 2037, etc. It’s evident to me that with an error like that, he does not have a true insight from God and his date setting is man-made and will fail like all man-made prophecy inventions.